Home with wide porches across the front or back of a house can be a problem because they often require expensive foundation work. If your house has a front porch it is possible that the foundation is under the front of the porch as shown by the red arrow rather than under the floor below the front wall which is where the house floor is as shown by the blue arrows. Go out onto your porch, notice how you need to step up 2 or 3 inches to get into your front door. This is because you have two floors independent of each other; the porch has a floor and the main house has a floor. If the foundation is under the front of the porch and you attach it to the porch foundation you will have prevented movement of the front of the porch but not of the house. 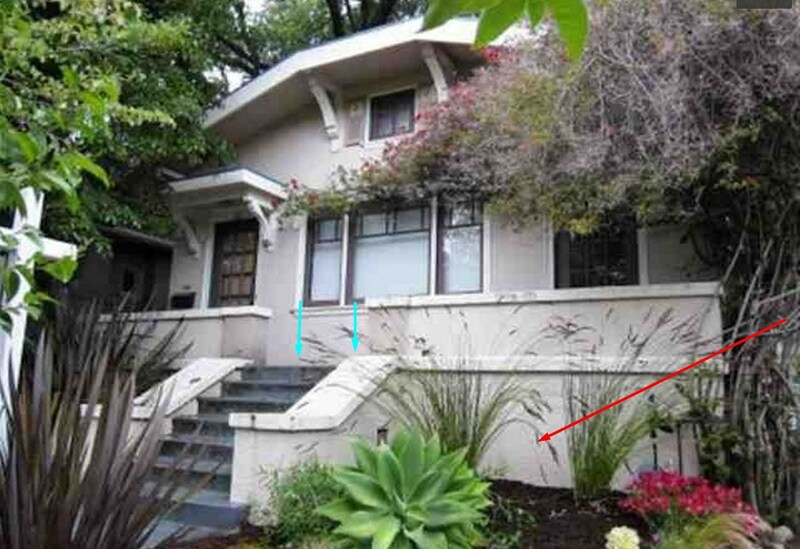 Retrofitting the front of the porch will leave the house as exposed to earthquake damage as it was before. In this situation there will literally be nothing under the front of the house to resist earthquakes except air and some posts that can tip over. Under all circumstances a house like this should be retrofitted because a small shaker can cause catastrophic damage. 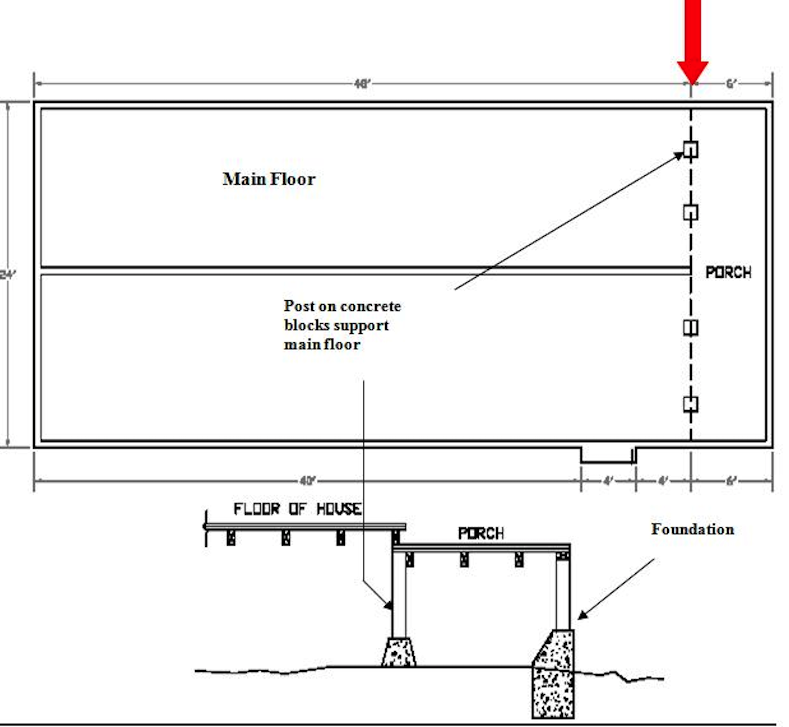 In the illustration below you can see how the home’s foundation is located under the porch rather than under the main house. The main floor is supported by posts that can tip over and collapse, taking the house with it. The best solution is to install a new segment of foundation under the house floor where the posts are, build a new shear wall, and attach it to the floor. It is not necessary to put a new foundation under the entire porch, just a segment long enough to resist anticipated earthquake forces. 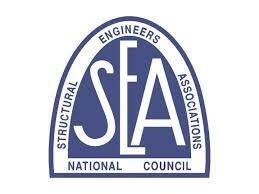 If your house does need foundation work make sure all the regulations on foundation construction are followed.